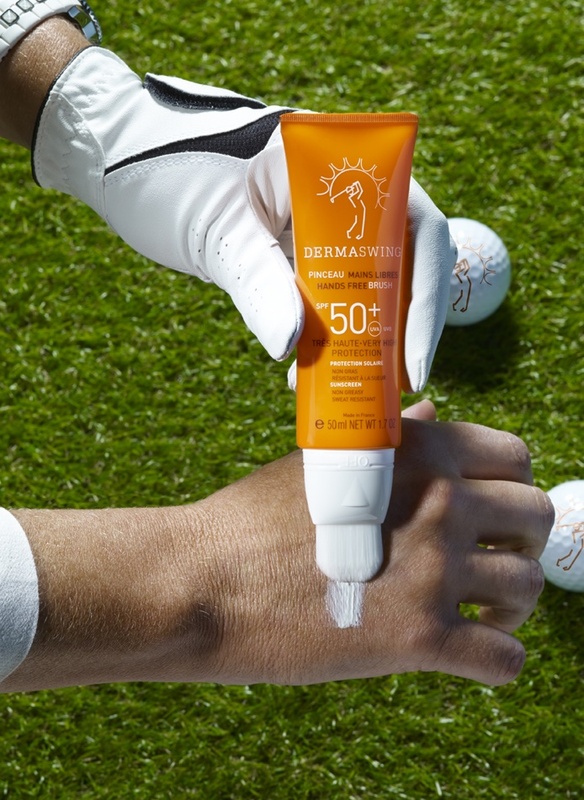 No need to remove your glove to apply sunscreen. DERMASWING benefit from an innovative patented brush and an ON/OFF system to prevent leakage. Turn the base of the brush to place the arrow on the “ON” position. Press the tube until a small amount of sunscreen appears at the tip of the brush. Apply on the desired area and spread the sunscreen with the brush until the white color turns transparent. The soft brush provides a pleasant feel and a very precise, smooth and even layer of protection. After use, do not forget to turn the brush to the OFF position to prevent any leakage. Put back the transparent cap to protect the brush. This applying brush can be washed after repeated use. Wash with warm water from the tap and soap. Let the brush dry in the open air. The brush is ready for the next use.